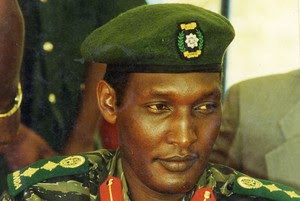 JOHANNESBURG — A justice department spokesman says South Africa has received an extradition request from Spain for a Rwandan general already at the center of tensions between the two African countries. Spokesman Tlali Tlali said Wednesday that he would not comment on how the South African government would respond to the request or when it was received by the government. Spain's cabinet on Friday said it was asking South Africa to extradite former army Gen. Faustin Kayumba Nyamwasa so that he can be tried for genocide and killing Spanish aid workers, charges Rwandan authorities have denied. Spanish legal doctrine allows Spanish courts to prosecute egregious human rights crimes even if they are alleged to have occurred in other countries, so long as there is a clear link to Spain.